It was another positive week for stocks last week, as all of the major indices finished higher. The S&P500 made 2.1% over the five sessions, the Dow added 1.9%, while the tech-heavy Nasdaq rose 2.7%. All week the market rose on teasers out of the US-China trade negotiations. Despite nothing of substance being generated, i.e. an actual deal, we were constantly told “we’re getting closer”, “we’re working things out”, and on Thursday it was “we’re rounding the turn”. It’s the same old rubbish that’s been sprouted for months now, but Wall St seems to be lapping it up. Heaven help us if we’re being led up the garden path here because a successful deal is all but factored into this market. The nonfarm payrolls came out on Friday, and they were better than economists were expecting. The economy added 196,000 new jobs in March, well above the consensus of 177,000, while the unemployment rate remained steady at 3.8%. However, while job numbers were strong wage growth continued to be weak, rising by only 4 cents an hour to $27.70. These numbers are a good sign for the markets. Strong jobs numbers show an economy moving forward, while low wage growth quells fears of a rise in inflation. It’s why it’s so confusing that we had the inverted yield curve appear a few weeks ago. How can we be heading towards a recession when the number of unemployed is at all-time lows? While the market has been on a ripping tear so far in 2019, it’s interesting to note that it has been doing so on much smaller volume than normal. The number of trades going through is 15% lower than the long-term average, with Friday’s session the second lowest volume of the year to date. Are traders sitting on the sidelines waiting for a definitive move? These numbers certainly correspond with new data out this week from EPFR which suggested that US equity funds have taken approximately $39.1 billion out of the market in 2019. This is an enormous number, and in a period, as we mentioned in last week’s Catch Up, that has been the best trading quarter in a decade. If the yield curve is anything to go by the money has been transferred over into bonds. So how is the market still moving higher? The good people at Bank of America Merrill Lynch think that the answer lies in corporate buybacks. So far in 2019 listed companies have bought back $227 billion of their own stock, almost $90 billion more than this time last year. And last year was a record in itself with $806 billion worth of shares being returned to shareholders. Not surprisingly Apple (AAPL) is the biggest player here, buying back an estimated quarter of a trillion dollars in the last decade. Trump won’t be happy with this. He gave all of the companies tax cuts so that they would reinvest into the economy and increase the number of jobs available. Instead, it seems they are just ploughing it straight back into their own coffers. Who would have thought companies would look after themselves rather than work for the greater good? As a shareholder, I’m totally fine with this. As we suspected last week ridesharing IPO Lyft (LYFT) had a volatile week of trading. After initially jumping higher on debut, it fell well below its IPO price of $72 per share, down to as low as $66, before bouncing back later in the week to finish at $74.45. It has been reported that short sellers are clambering over themselves to get hold of the stock, with an estimated 41% of shares in the company being short. There could be a short squeeze in the offing for those of you who like a punt. There are a couple of important dates to look out for here. Firstly, a stock that has recently debuted gets a grace period where analysts cannot rate the stock – it’s called the “quiet period”. This will end approximately 25 days after the IPO date. Here we will see a raft of buy recommendations from those analysts that have also underwritten the stock, but you’ll also get opinions from those without vested interests, and these will be the most interesting to see. This event can make a share price skyrocket or tank. The second important date will be 180 days after the IPO date. This is when the lock-up period expires for those that have selling restrictions placed on their shares. These restrictions are put into the regulations of an IPO so that there isn’t a mass sell-off of initial shares when the stock debuts. Of course, this doesn’t stop it happening 180 days later, but the theory is that by then a lot of water will have gone under the bridge and the selling (hopefully profit taking) won’t be as sustained. In the meantime, it looks like the shorts will be here to stay a little while longer. Bed Bath and Beyond (BBBY), continued its winning run for the second consecutive week. We mentioned last week that the homewares retailer made 24% on a potential activist investor takeover, and it has risen a further 8.19% this week after Morgan Stanley upgraded their recommendation on the stock. BBBY is now up 62% for the year to date. On Wednesday we’ll see how the company fared in the first quarter when they release their earnings results after the market closes. A dose of reality after all of the recent hype could be on the cards here. There was relief all around for Amazon shareholders during the week as the details of the world’s most expensive divorce were finalised. Owner and founder Jeff Bezos will keep the couples 75% stake in the company and Jeff will importantly receive all of the voting rights. His ex-wife MacKenzie Bezos will have to make do with her paltry share of $36 billion. We’ll throw the hat around here in the office to make sure the poor woman doesn’t go hungry. 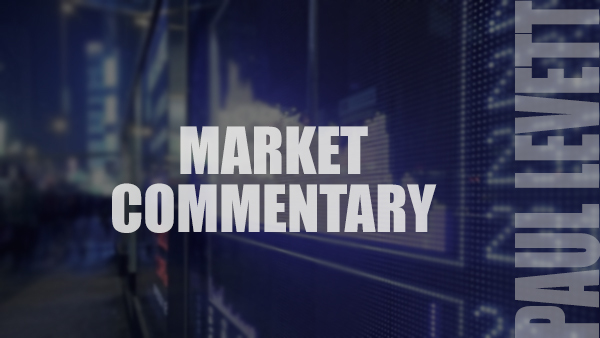 The focus for the week ahead will be on news out of the China-US trade deal, as well as a nervous wait for earnings season to kick off in full. Many are tipping this earnings quarter to be the first negative earnings season since 2016. Alcoa (AA) traditionally kicked off each earnings season, back before they were kicked out of the Dow. Everyone would wait until AA set their earnings date, and then they would fall in behind. These days it’s a bit of a dog’s breakfast, with companies going off at all matter of times. However, usually by the second week of the new quarter, we see the big banks report and this is now becoming the new official start to the season. It will be an intriguing start as well, with the banks under pressure thanks to potential interest rate cuts and a struggling economy. Falling interest rates mean smaller margins between what the banks pay out for depositors and what they receive from the borrowers. Which of course leads to smaller profits. Add to this a suspected slowing economy (the reason for the rate slowdown in the first place) and a partial government shutdown at the start of the year and you have a recipe for concern amongst the financial institutions. And it’s not just the banks who will be under the pump. Analysts have been dropping their expectations for S&P500 earnings, where once they were predicting gains of over 8% to now expecting a decline of over 3%. It doesn’t paint a healthy picture; however, the good news is that expectations are low, making it much easier for companies to surprise on the upside. There is also optimism around the defensive sectors such as Utilities and Real Estate, who you could see outperform for the quarter. We’ll start off with Wells Fargo (WFC) and JP Morgan Chase (JPM) who report on Friday, with Citigroup (C) and Goldman Sachs (GS) the following Monday, and Bank of America (BAC) and Morgan Stanley (MS) the day after that. From here we should get a good idea of where the rest of earnings season should be headed. Data wise we’ll get to see the March consumer price index come out on Wednesday, which will give us a good indicator on inflation. And we’ll also have the minutes of the Fed’s March policy meeting, where traders will be expecting a continuation of the dovish talk we have had recently. Take a look below for more earnings and economic data info we’ll have heading our way this week. And remember, for those of you that came out of daylight savings time over the weekend, the US market will open and close an hour earlier than it has been. For those in NSW, Victoria and Tassie it is an 11:30 pm open and a 6:00 am close, while in South Australia it’s an 11:00 pm open and a 5:30 am close. For the rest, it will stay the same.